TeacherActive Brighton office is situated in a beautiful, converted church just a short walk from the train station, and not far from the beach front. TeacherActive are renowned for our professional and honest approach, and at our Brighton office you also can’t help but notice how warm and genuine we are. We are knowledgeable and dedicated and we will listen to your needs. 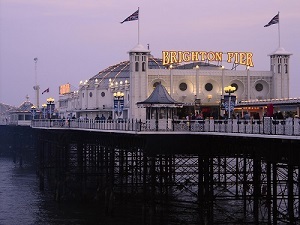 The locals among you will be all too familiar with the many famous attractions in Brighton; the Brighton Palace Pier, the Royal Pavilion and for a panoramic view of the seafront try the British Airways i360. If you’re visiting us from outside the area, another must-see is Brighton’s Museum & Art gallery with a glittering collection of 20th century art and design, an enthralling gallery of world art and an impressive collection of Egyptian artefacts. We work with Primary, Secondary and SEND schools across Brighton and Hove. Come to see us for a warm, professional meeting where we will get a great picture of what is the right school for you.